The famous Pizza Pi is ready to serve you some of the best pizza you’ve ever had— in the middle of one of the USVI’s most beautiful coves. You’ll need a boat for this incredibly memorable (and tasty!) experience, folks! 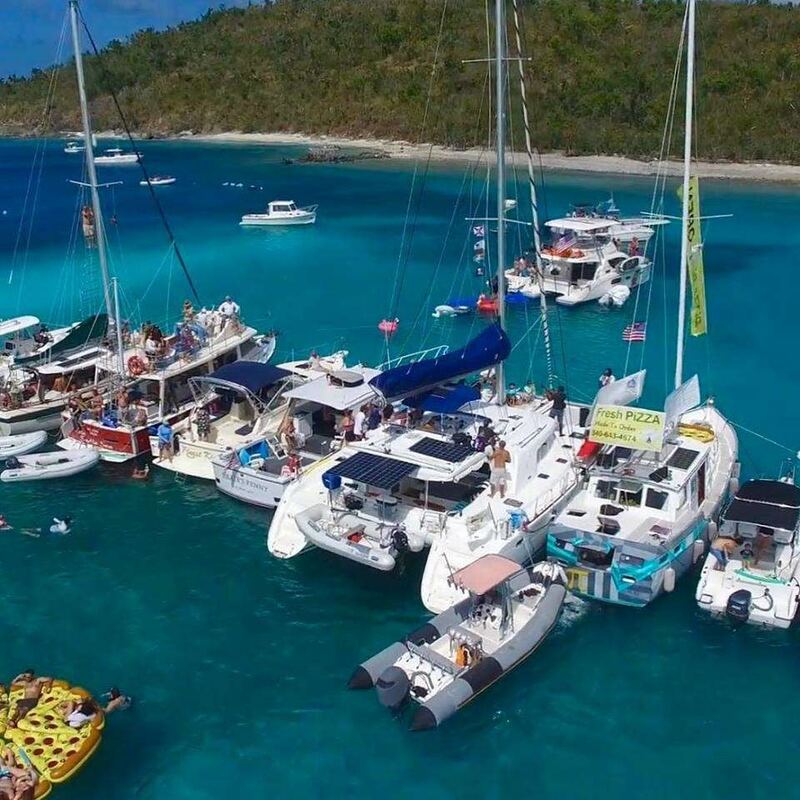 Pizza Pi is one of the more unique destinations for boaters in the U.S. Virgin Islands. 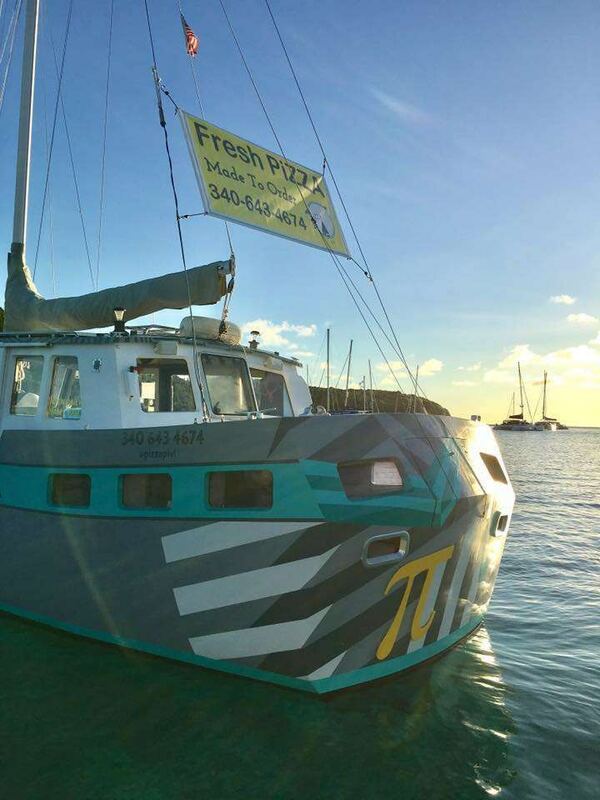 The restaurant is a transformed sailboat, now a floating pizza joint that is locally owned in Christmas Cove. The “restaurant” was started by a couple, Tara and Sasha, who while sitting on their boat watching the spectacular Christmas Cove sunset, heard their stomachs growl. They were hungry, and they wanted pizza. “Why not start a floating pizza joint?” they thought. Five years later they are serving over 75 pies a day, with a diverse menu that changes seasonally. Check out The Mango Mami— it’s Captain Garth’s favorite pizza! Pizza Pi has gluten-free and vegetarian options, so there’s something for everyone to enjoy. Pizza Pi is located just minutes from the Over the Line marina, making it a great stop to end your day. 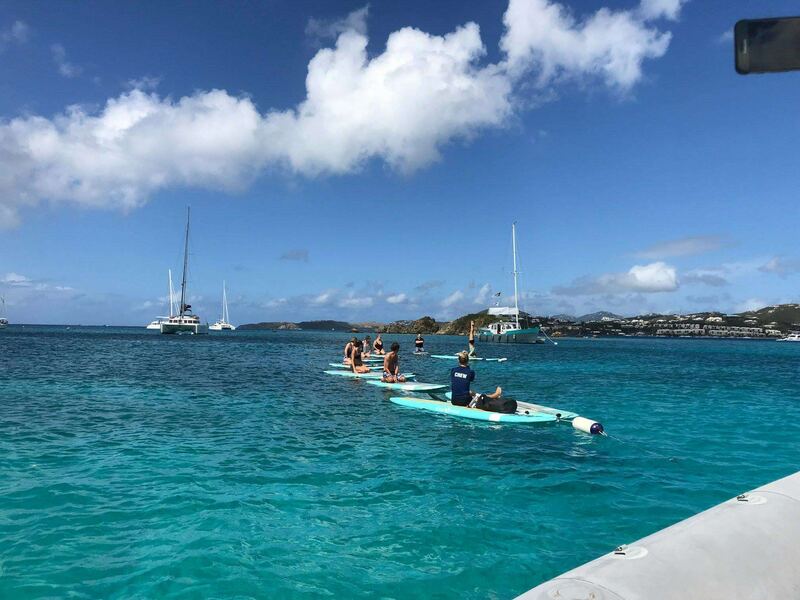 Whether on your way back from Jost Van Dyke and the British Virgin Islands or a local USVI trip to Water Island. Pizza Pi is the perfect stop to fill your stomach, have some drinks, or sneak in one last snorkel session!